Choice of Dual Edison Out, Stage-Pin Out or GTL out. Smarter dimming at a Smarter price. SmartBar 2 gives you next-generation dimming for portable or permanent installations... without busting your budget. 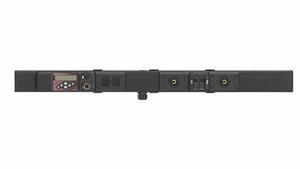 It provides an integrated dimming and fixture-mounting solution for compact, low-power applications, such as rentals, industrials or even small touring productions. Set up your system in minutes and light like a pro – just plug in and play anytime, anywhere. Schools, churches, community theaters and outdoor events will benefit from SmartBar 2’s easy setup. No ladder necessary!